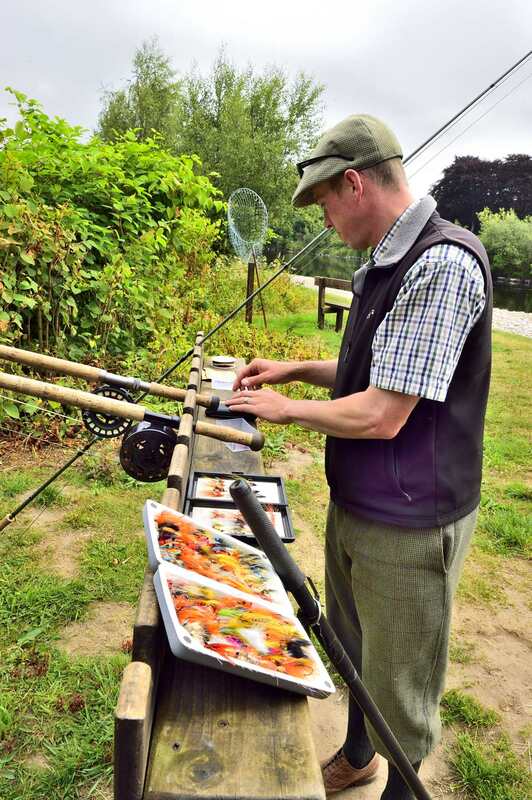 We are often asked, “can I have a fishing vacation in Edinburgh?” The answer is an emphatic YES, it is most certainly possible to base yourself in Edinburgh and still enjoy fly-fishing for Atlantic salmon, wild brown trout, rainbow trout, grayling or pike. Scotland’s beautiful and historic capital city of Edinburgh, is perfectly situated for easy access to a wonderful range of fishing opportunities. 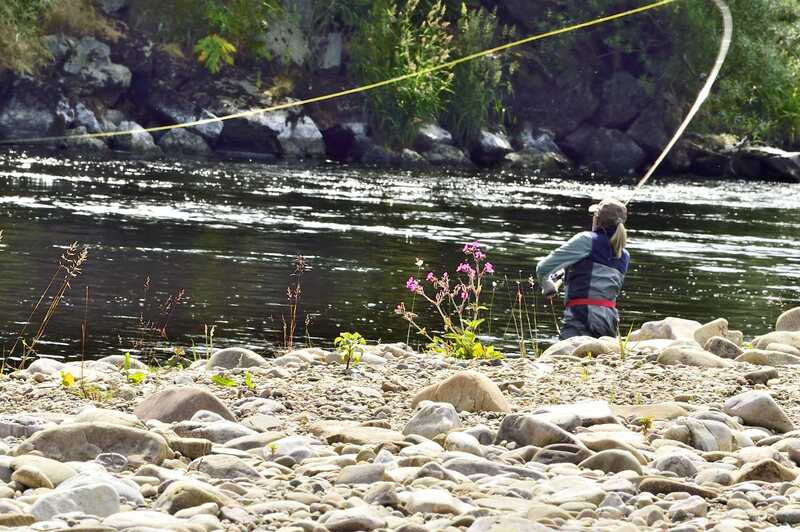 Within no more than 90 minutes’ drive, you can be fishing on either the River Tweed or the River Tay; two of the four great salmon rivers of Scotland. Indeed, there are several other, smaller rivers within that easy reach. For terrific fly-fishing for wild brown trout, there is the East Lothian Tyne and the Whiteadder. The latter also has a good run of salmon, as does the Teith, the Earn, the Teviot and particularly the Isla. In fact, its possible to find really good fishing within just a few miles of the city boundary, in just 30 to 45 minutes by car. If your preference is for large, hard-fighting rainbow trout, there are numerous stocked lochs throughout East and West Lothian and in the glens of the Pentlands and Lammermuir Hills. It can seem like you are in the heart of the Highlands when fishing these lovely waters up in the hills. It is hard to believe that you’re only a short drive from the city. If you prefer to go dry fly fishing for brown trout you have numerous options. Wild populations of beautifully marked fish can be found in most of the lochs and all of the local rivers. 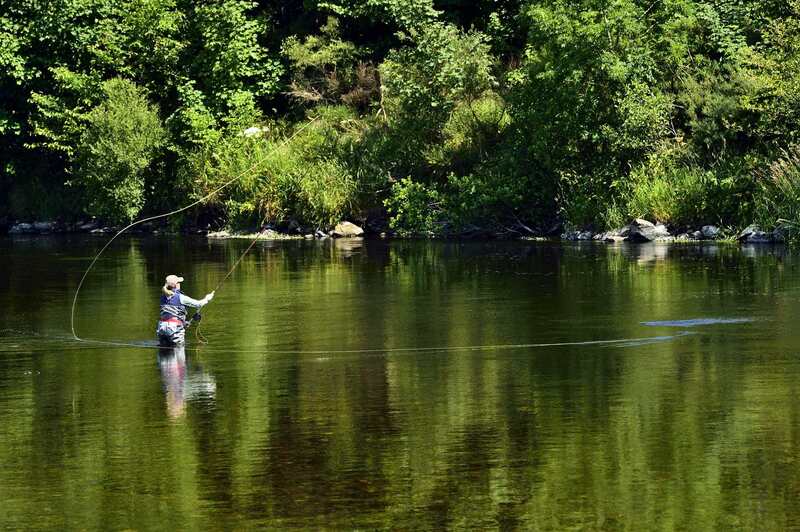 The best of the fly-fishing rivers of east central Scotland are the Clyde, the Teviot and the Tyne. So, if you’re coming to Scotland to experience the Edinburgh Festival, or simply want to combine your city visit with a few days of excellent fishing, contact River & Green. We will take care of all of your arrangements including hotel accommodation, transport in Scotland, fishing equipment and guides.